Time for a quick history lesson. After Christopher Columbus found the New World, Spain proceeded to go forth and conquer much of it in the decades that followed. By 1533, the mighty and wealthy Aztec and Inca empires were under Spanish control and the Spanish began importing unprecedented amounts of gold and silver from their new colonies. Most of the ships bringing back these precious metals would meet around Havana in the summer and sail back across the Atlantic together. However, not all of those ships made it back to Spain. Some were attacked by pirates and some were sunk by hurricanes and other bad weather. Those two reasons are why there are hundreds of shipwrecks off the coast of Southern Florida and many are long forgotten and have yet to be rediscovered. 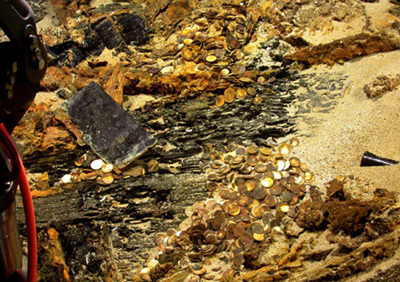 Until 1988, undersea explorers finding a shipwrecked galleon filled with gold could keep everything they found and make a fortune selling off all the gold. Now though, shipwrecks in America’s territorial waters are considered to be legal property of the state and it’s now illegal to scavenge from a shipwreck you might find. Although many fantasize about the riches they might find in a sunken galleon filled with gold and silver, most of the shipwrecks that have been found were old Native American canoes and slave ships. Still it is really cool to realize that when you look out at the ocean from South Florida there are hundreds of relics from a bygone age sitting there underneath the waves. Considering the state of Spain’s budget, they could use some of that gold. The Earth’s geology has long caused issues for the people living on it. Earthquakes, tsunamis, landslides, and volcanic eruptions have been going on long before humans were around and will continue long after we’re gone. However, the beaches in South Florida are facing a far less lethal problem for us and we’re coming up with an odd way of solving it. The sand on Florida’s beaches is constantly being drawn back into the ocean and keeping the beaches looking healthy and robust means constantly replenishing the beaches with sand. This problem is by no means old and for decades Florida simply took sand from elsewhere in the state and moved it to the beaches to keep them looking the way they do. Florida is running into a problem though. They’re running out of land based sand to replenish the beaches. It has reached the point where Broward County is now looking at other more expensive alternatives. One such alternative would be dredging up sand from the seafloor just offshore and using that sand. That option is both expensive and environmentally destructive to the marine species that live there. Another more eco-friendly alternative is to pulverize recycled glass into a fine sand and use that on the beaches. Glass is made mostly from sand and if it is pulverized enough it is just about indistinguishable from beach sand. Such an idea was first proposed ten years ago but its implementation was derailed from state budget costs caused by the recession in 2008. Now seems like a good time to revive the idea though. It is a more efficient and more environmentally friendly way of recycling glass and it will help to preserve Florida’s beaches well into the future. In need of a new job? Forbes.com has listed the 10 Best Cities for Employment. 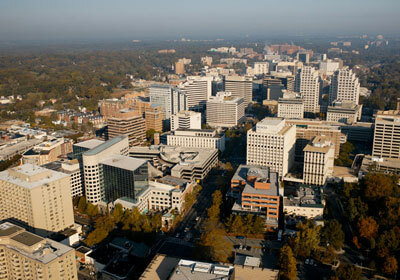 These cities were chosen by Adecco Staffing US, a Human Resources firm. They have the fullest employment, according to the Department of Labor, as well as internal data around job growth and demand. They then determined which areas in the US are the best for finding a job.